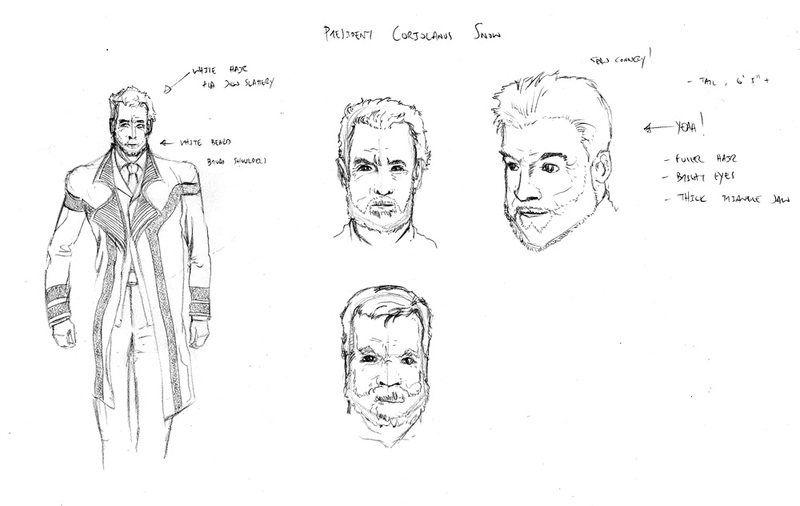 the next character design for the Hunger Game is President Snow! now, i’ve only finished the first book and just started the second of the trilogy. therefore, my vision for President Snow is quite limited. even so, this is how i picture him. regal, long suit, perhaps a mixture of black, white, and either red or blue. maybe yellow. a thick set of white hair, but with soft eyes. why the soft eyes? well, he’s got to lure you in before he goes all bad on you!